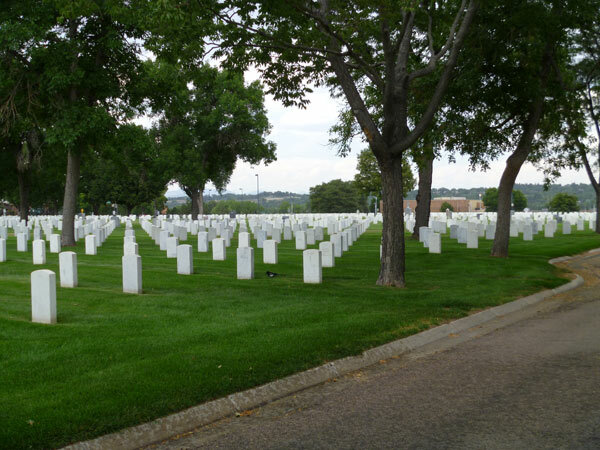 Fort Logan National Cemetery is nationally significant for its association with the development of military and veterans cemeteries during the late nineteenth and early twentieth centuries by the federal government. Fort Logan National Cemetery has a history that dates back to the late nineteenth century as the U.S. Army consolidated its Western posts as the frontier shrank, lessening the need for the smaller posts. Further, it is tied to Colorado's ongoing attempts to attract and keep federal installations during the twentieth century. Fort Logan National Cemetery is one of dozens of cemeteries that were operated by the Army as part of the national cemetery system prior to its transfer to the Veterans Administration by the National Cemeteries Act of 1973. Fort Logan National Cemetery serves as a memorial to the sacrifices of the U.S. military, and is a reflection of the expanded burial and memorial mission established during the Civil War with the earliest national cemeteries.